It has taken 10 years and many meetings to put forward the idea of having a plaque to commemorate the landing of the Compac Cable at Bondi in 1962 and the first telephone call on 3rd December 1963 between the Prime Ministers of Australia, New Zealand, Canada and the United Kingdom. Waverley Council to get the plaque installed in the vicinity of the cable entry hut on the beach side of the promenade at Bondi Beach. Your committee also engaged the support of the Waverley Historical Society when negotiations with council stalled. Malcolm Turnbull when he was the Communications Minister and then again when he became Prime Minster of Australia. These efforts were unsuccessful. The landing of the Compac Cable was not considered a significant event in the history of telecommunications in Australia worthy of celebration. Telstra was approached through the manager of the Paddington Terminal, Geoff Parr. Largely through the support and effort of Geoff the concept of a plaque to recognise the laying of Compac was agreed by Telstra but the Paddington Terminal building was undergoing removal and the plaque could not be installed until last week. Telstra installed the plaque on the Oxford Street side of its building at Paddington in Sydney NSW beside the building’s foundation stone late last week. Please have a look at the photos. We extend our thanks to Telstra for the support and recognition that it has provided through the installation of this plaque. Many thanks to Charlie Rudd for supplying the plaque and greatly assisting your committee on the design to accommodate the words that were acceptable to both Telstra and the OTVA. It is a real shame that Henry Cranfield was not still with us to celebrate this successful joint venture. Well done to all involved. Below is a recent photo of the Paddington terminal that has been supplied by Geoff Parr. I grew up in Paddington before the terminal was built. I watched the Steel I beams go in place and the bricks around them. I am not sure of the actual shops that were dis[placed, but in the past the little bit of a side street at the entrance of the terminal was never there. That was all shops too. I remember a lot of corrugated steel hording that I was told was the entrance to the Paddington movie theatre that my father and mother attended many times. It had long shut down probably for many years before the terminal was built. 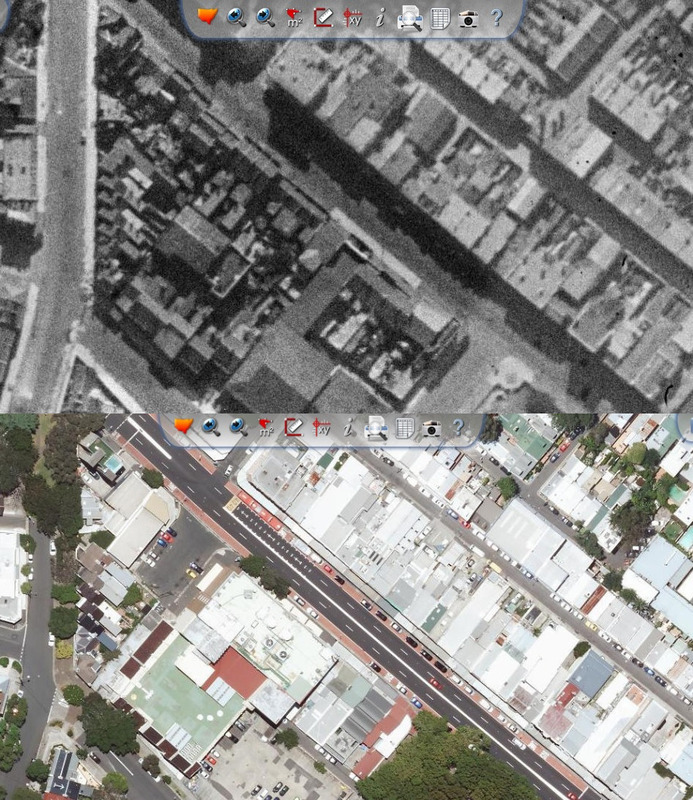 The land in Paddington was dirt cheap back then and may have had a lot to do with the choice. The shops were in poor condition on that side of the Street an all the commercial activity was focused on the northern side. The OTC terminal cleaned up the area to a large degree. The building was created with three I beam sections in length along Oxford Street and the internal columns would confirm this. Later more shops were bought to the east and 2 more sections built in the same construction. A brass strip on the floor marks the joint between the new and old sections. It is also the wall of the main risers for the cables that was in the past the outside wall of the building. The building was never built to withstand much other than – supposedly – a direct hit from a conventional weapon. That was also a straight out bit of rubbish as any good sized bomb nearby would have easily taken out the double brick walls. It was more a security issue as all exchanges were built without windows. The job to create the windows on Oxford St massive with concrete saws cutting the rectangular opening during the last expansion. Proof of the fact that there was no protection from an atomic bomb, the lunchrooms All had windows and there were no blast doors. The manhole outside in Oxford Street could be lifted with a simple standard tool and all the cable sat in there totally unprotected from EM or direct kinetic blast damage. Even a simple hand grenade would have been enough to take out the whole system. The style of construction meant that the outside of the internal concrete around the beams would form small cracks. It was confirmed to be fine in the mid 1970s when the network of fine cracks concerned the staff. The path for Compac across Centennial Park was a real plus for the safety of the cable as there was little problem with construction in the park. This was a concern for OTC with cable pit inspections every week and Percy Day usually did a Monday Drive to Bondi and kept close watch on new buildings and road works. It may have been twice a week at one stage. Paddington was on top of a hill not prone to floods and could pick up the same power feed at the Paddington Hospital. A wise decision given that for at least 7 years the diesel was not wired correctly to take over the mains power. No one ever knew of the fault and the reliability of the power was the only saving grace. There may have been some consideration given for the new radio links coming on line and the opportunity to use the roof for microwave dishes – this is only a suggestion, but the building is ideally placed. The building needed stacks of cables from the city and Bondi would never have been ideal. I expect it was the best location between Bondi an town for cables, power, price and security. There would have been a distance where TV tubes (coax) would need additional equipment along the way so about 4Km from the city would have been a good rule of thumb back then. Similarly degradation of the telephone lines to the city based trunk switches, etc would have been an issue. The closer the better. Finally Paddington would have been an easier area back then to consider expansion needs and they came very quickly. The forst expansion was only a few years after the building began construction. 2. 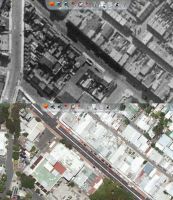 There were existing large capacity cable ducts along the route Bondi to Paddington or ability to expand the capacity. 3. The Paddington Oxford St. rim had a good look out to the north and south for future Microwave connections to most of Sydney and the distant Blue Mountains than did Bondi. 4. There was less of a heritage mix than the Woollahra, Bondi area. 6. The Sea Earth for the undersea cables connection was located in Centennial Park. This Earth connection could only be a specified length and be far enough away from the ground rock activity, salt nearer the ocean etc. 7. May be a distance limitation (aggregated impedance/resistance) which met the specs at Paddington but not at Bondi. Thus it would match into the existing network closed to the city and not be impeded back nearer to Bondi. 8. Something even more ridiculous. Memories when they were planning (1950s) were still in people’s minds (in WW2- late May to early June 1942) that Bondi and Dover Heights (sic) and buildings closer proximity to the coastline had been hit by Japanese submarines and that Paddington may be a safer distance..!! Maybe less the atomic bomb possiblity – who knows. “…….My husband remembers a story told by his Uncle Clarrie (Clarence) Chesher about the submarines off the coast when they were shelling Sydney. He lived in Bondi, and said he was tending to his canaries when he heard the whistle of shells passing overhead, he thought to hit Dover Heights” ….. I can shed some light on your questions about the selection of Paddington for our International Terminal in the early 1960s. The actual selection was almost certainly made by Bob Long no doubt with input from Cyril Vahtrick and others. We needed a site between the cable landing point at Bondi Beach and the APO’s main trunk centre(s) in the city. The APO’s cable tunnels only extended as far as Paddington and the ideal site required easy access to the tunnels to keep the cost of the interconnecting cables down. For the submarine cable we had to construct a new duct route between Bondi and our terminal site and the APO were prepared to share some of the costs of these ducts if the route was useful to them – i.e. if we did as we were told! The site selected met all these criteria. I don’t think the cost of land entered into it but I do recall some sabre rattling with one of the vendor’s who needed to be reminded that resumption could be the eventual solution. It didn’t turn out to be necessary. The terminal was not built to resist bomb (atomic or otherwise) attack. It was initially built without windows partly for security reasons. Everyone hated this and after several years of operation a “fenestration project” was undertaken to improve the building appearance and the working environment. I am retrieving all of this information about events more than 50 years ago from memory so I can’t be absolutely sure of every detail. I think the initial acquisition was from several different owners including shops and dwellings. As I recall they were all rather rundown and, at the time Paddington was no where near as fashionable as it has become. operated in the lane behind the terminal… cheers Terry Hulme. How do they sort cables out these days? If you fish, snag then cut a working cable you are not going to get any brownie points. Amazingly not much has changed since the good old days. Repairs in deep waters are still carried out by dragging a grapnel (big hook) behind the ship until it snags the cable. Only technical advancement is that nowadays we have cut and hold grapnels. Which means instead of cutting it then going back to grapnel again for the loose end to buoy off, this can now be done in one drive. In shallow water and where there is a concentration of cables, it does become trickier . Typically an ROV would more likely to be used. A tone can be sent down the damaged cable and sensors on the ROV can detect which is the right cable before cutting and retrieving. Also with modern GPS and accurate laying records during installation we pretty much know exactly where they should be. Further problems with Singapore, where a lot of cable breaks occur due to number of ships and them anchoring where they are not supposed to be, is that the cables are often buried up to 10 metres below the sea bed, as opposed to the standard 1.5m burial. So can be tricky to un-bury them or even grapnel for them. The new Trans Tasman cable called TGA will be installed in a few months and Yes the upgrade of the cable is amazing. Southern Cross Cable on Day 1 had 3 fibre pairs each only capable of 16 Wavelengths x 2.5Gbps = 40Gbps per fibre pair. They took 14 racks of equipment. So 42 racks of equipment to get us a system capacity of just 120Gbps. We have just completed an upgrade on one of our fibre pairs and it now does 24 wavelengths by 100Gbps = 2.4 Tbps per fibre pair. And all done in half a rack of equipment!!! !